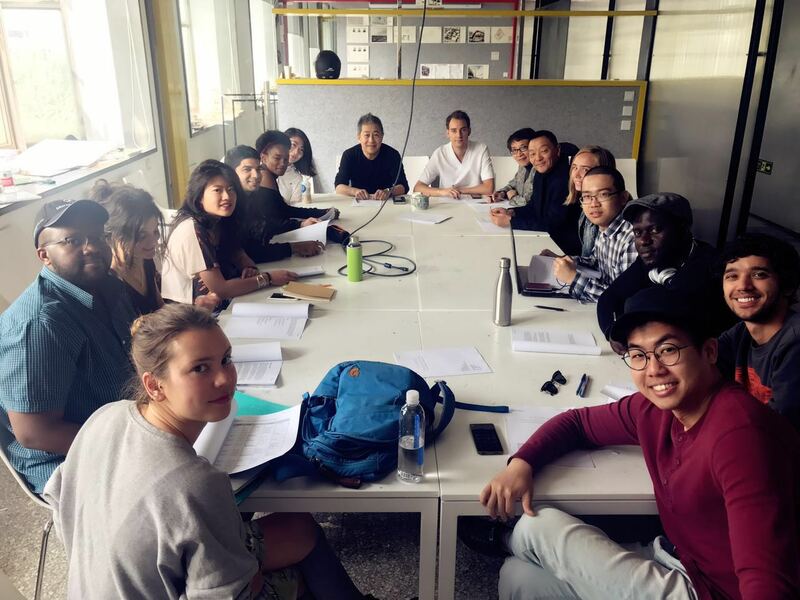 As part of the first year of the English Program Master of Architecture (EPMA) course, taught at Tsinghua University, the fourth studio is concerned with sustainability. 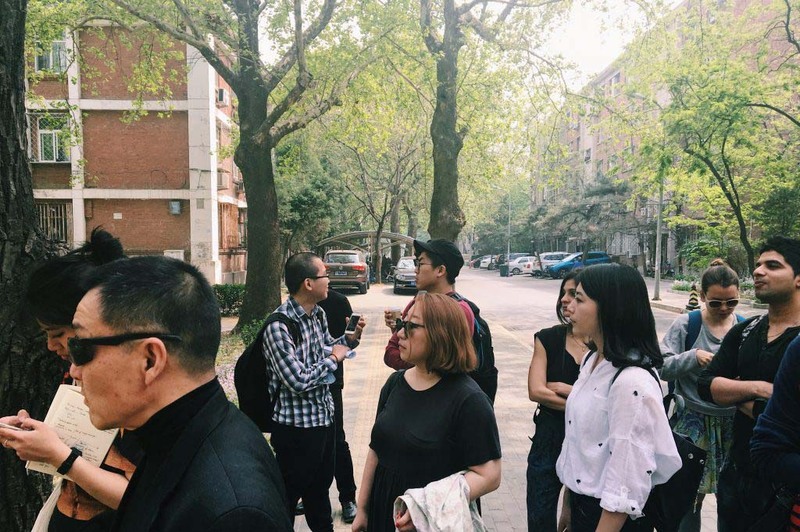 The site of the studio is the aging residential buildings on the Tsinghua Campus, and the studio focuses on modernizing these typologies to be both climatically sustainable, and socially sustainable. 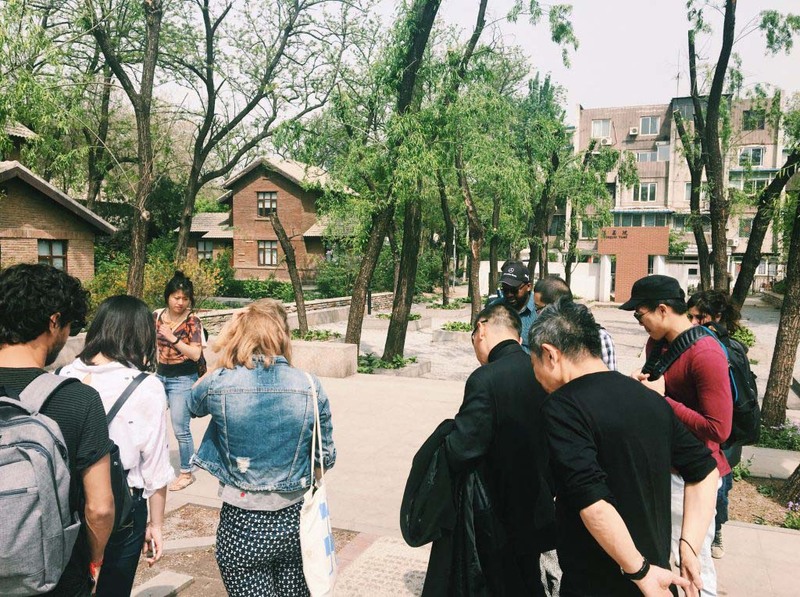 Within Tsinghua University, a huge amount of buildings were built in the 70s, 80s and 90s, with a standardized design regarding their spatial layout, form and envelope detailing. For these buildings now, not only are the building service systems in need of repair, but the interior spatial arrangement doesn’t fit with contemporary lifestyle either, in addition, the interior environment is not as comfortable as a contemporary ‘Green Building’ ought to be. 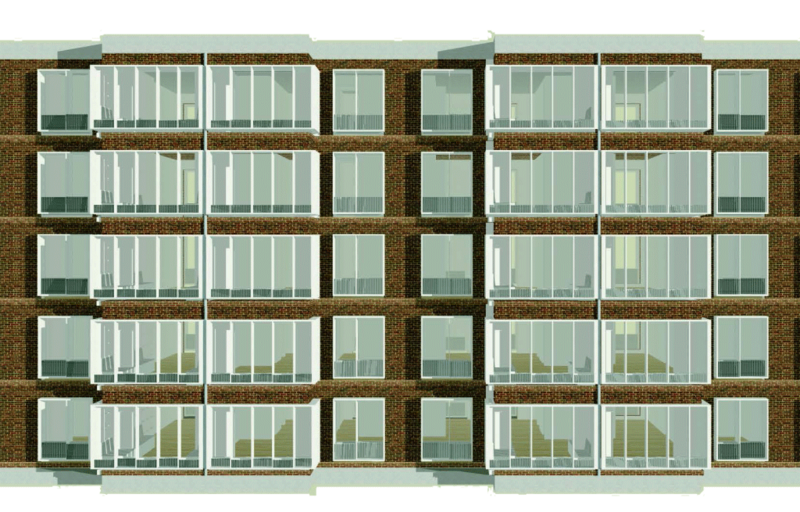 On a unit level, the retrofitting is focused on the building envelope and the building performance as a Green Building. 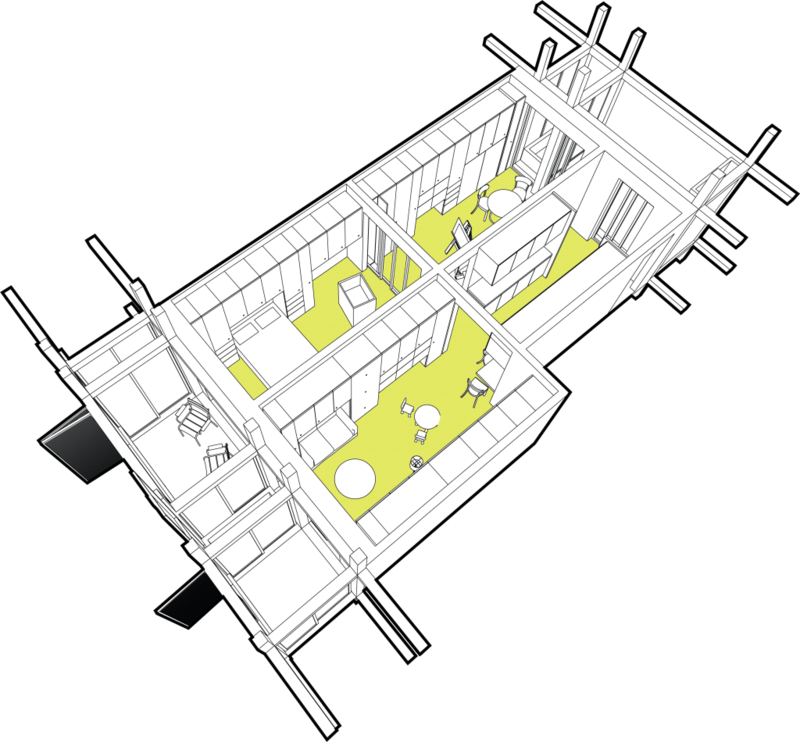 A spatial component or a component of the envelope needs to be designed on a detailed level. 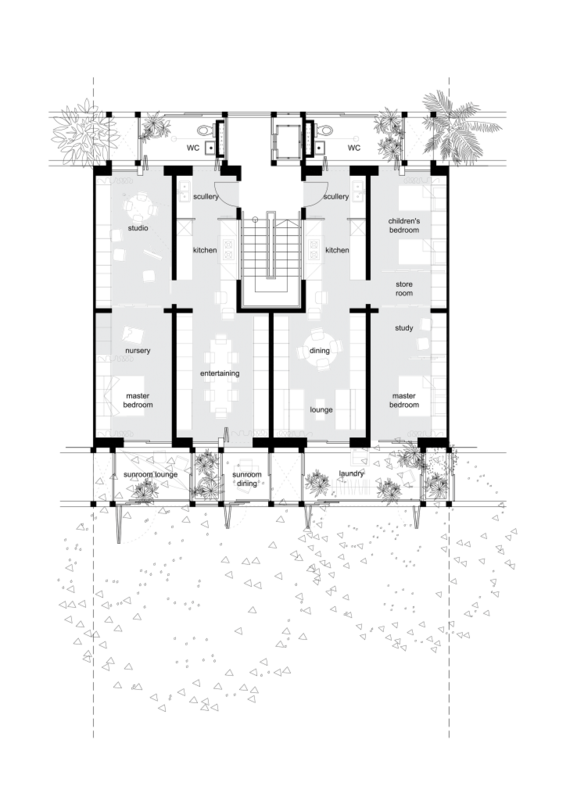 The design of the retrofitting follows a method of individual construction within one household (as indoor decoration but focused on building performance), meaning no exterior scaffold reconstruction, no severe disturbances around the neighborhood, etc. In addition for an indoor space, or on a household level, a new spatial arrangement for contemporary lifestyle needs to be designed within the old structure. The studio objective is one of delivering an integrated design solution for Green Building based on life style as well as climate. Tanja & Ceren’s project used the lifecycle of a family living in the apartments as a starting point in designing a flexible layout that could evolve with their needs throughout their life span. Simon & Victor’s project enveloped the poorly insulated building in a new ‘second skin’ which not only provided much needed insulation, but allowed the interior layout to be free from obstruction.